When you're an adult the fresh fruit and vegetables at the Adelaide Central Market make your eyes light up; when you're a kid it's the lolly shops. 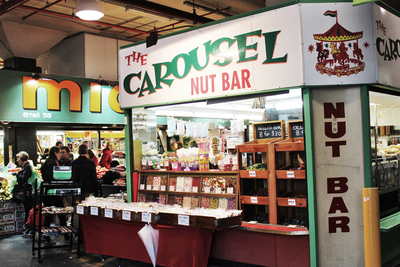 The Carousel Nut Bar is one of the first ones you'll see if you enter from the Western Grote Street Entrance. The store obviously stocks nuts, but there are also lollies on display everywhere from flying saucers to fantails and sherbets. 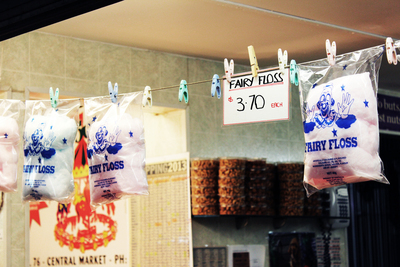 Or you can pick up a bag of fluffy fairy floss. There are some pre-packaged lollies, and others you buy according to weight. 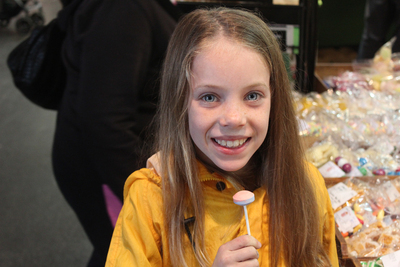 You can even pick up sherbet lollipops for just 30c each. 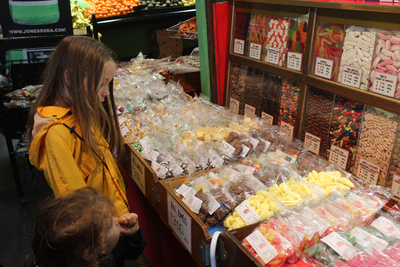 Carousel has that old-style lolly shop feel, which makes it a bit of a treat for adults too. Everyone can be a bit of a kid here. You can even get drinks and ice cream here. Carousel sell a selection of canned drinks, as well as home-made iced drinks. On a hot day pick up an ice cream to cool you down. 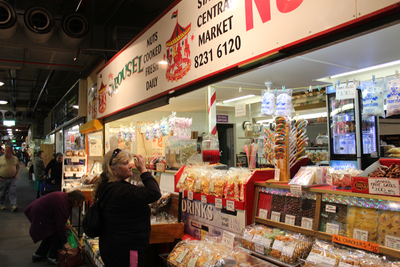 It's a great place to stop if you're doing a bit of shopping in the market. This way you can give the kids a little treat to help you get on with your grocery shopping in peace.